Several methods are used alongside each other to activate mobile chat research: e-mail, push notifications from the app, SMS, Voice and WhatsApp. This way abbi ensures an optimal response and conversion to the chat surveys. Respondents in the communities are always reached with relevant 'fact-based' messages. Of course, abbi only activates with their permission. When other data sources, like CRM data, are subsequently linked to the respondent’s profile and chat data in order to further enrich the target profiles, the marketing activation based on personalization becomes even more effective! All this is made possible in the abbi Insights & Activation Platform. abbi activates respondents using hybrid push messaging. When respondents allow push notifications, they receive a push message from abbi when a new chat is launched. By clicking on the push message, they immediately go to their latest chat. When a respondent does not allow push notifications, he or she automatically gets an SMS message with a direct link to the chat. Fast, simple and effective. abbi still offers the possibility to approach respondents via e-mail. The advantage of e-mail is that it is a relatively inexpensive way to approach the target group. The opening ratio and thus the response to the chats is however substantially lower. The most effective way to reach and activate a target group is via SMS / text messaging. Despite the advances in smartphone technology, SMS remains a ubiquitous way to communicate and has the advantage it works operates even where there is no or low quality internet connectivity. The response rate is significantly higher compared to email activation. abbi innovates continuously, also with regard to the ways in which respondents can be reached and activated. It is already possible to do this with voice messages, which you can have spoken by, for example, the CEO of your company, the mayor of your municipality or a well-known person that respondents relate to. Higher response and a better user experience assured. 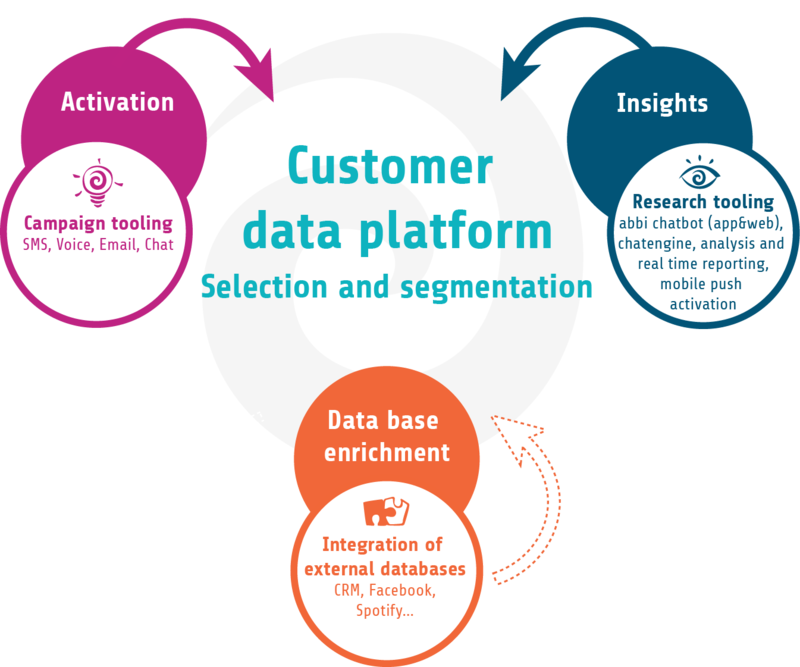 Want to learn more about the abbi Insights & Activation platform? Want to know more about the abbi platform?